This is the official organization for Velocity enthusiasts. VOBA's formation was approved by the Velocity factory. We are run and managed by a team of builders and owners who want to strengthen the Velocity community. There are many builders who are already providing great information and benefits to the Velocity community. It is not the intent of VOBA to duplicate or replace these valuable services. In fact, we are committed to seeing these continue and will donate time and money toward this end. Receive VOBA's Velocity News, the quarterly publication of the Velocity community. This full-color publication is distributed digitally to members four times a year. It can be emailed to your primary address or sent to a special address that you may have for your Kindle, iPad, or other e-reader. Current and back issues are available in the newsletter forum or from the Documents section. VOBA offered a number of forums where members discuss building, flying, and maintaining Velocities. No matter what your question or issue, there's usually someone in our community that has the answer or solution. The forums are accessible through a web browser or via email. The forum archives are categorized and searchable, which gives you instant access to the community's knowledge base. 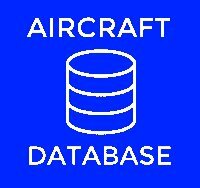 The VOBA aircraft database is a repository for all the information known on every Velocity aircraft. Members have full access to search the database by Velocity model, owner name, location, features, equipment, modifications, etc. . . . there are over 100 different search categories! This is the best tool for those who want to buy a Velocity. You can find previous owners . . . even if the registration number has changed or was never assigned. See detailed info from the seller on the equipment, features, and modifications made to the aircraft. Unlimited blogs and photo albums. Start one to chronicle your project, document a trip, or share photos from an event. Discussion groups / online forums. Members can start their own forum or email group covering specialty topics like auto engine conversions, avionics, flight planning, or Velocity events. To launch your VOBA blog, photo album, or forum/email group, contact VOBA through the "About VOBA / Contact us" web page. The Type Club Coalition (TCC) was started by the EAA so that they, along with the FAA, would have an official conduit to the various aircraft enthusiast organizations. VOBA's participation in the TCC will allow the Velocity community to have a voice in the conversation about homebuilt aircraft safety and proposed regulations. When you join the VOBA, you get a vote in how the Velocity community officially responds in these situations. Your membership in VOBA, and the VOBA's membership in the TCC will NOT subject you to additional regulations, requirements, inspections, restrictions, or FAA mandates. The Velocity factory relies on builders to check their web site for any kit plans changes (KPCs) or safety updates. Many of their builder records were wiped out in the hurricane that destroyed their hanger a few years ago, and many Velocity buyers don't register with the factory, so they would not be able to contact all owners if they needed to. In the event that VOBA is notified of a KPC or safety issue, we will send a message to all members by email. Membership is only $39 per year, and includes a free spouse/family membership, too. Join hundreds of your fellow Velocity enthusiasts as a VOBA member today!